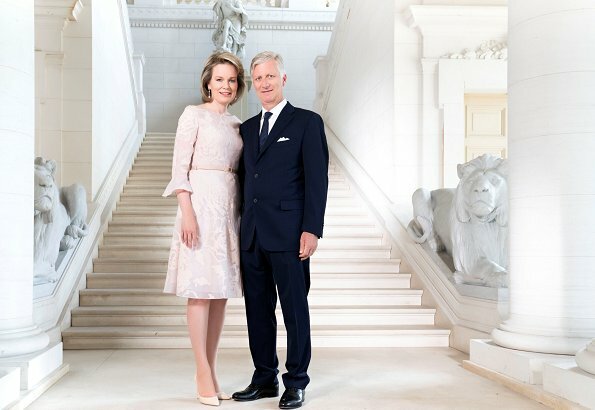 In order to celebrate 5th anniversary of enthronement of King Philippe, Belgian Royal Court released new photos of King Philippe, Queen Mathilde, Crown Princess Elisabeth, Prince Gabriel, Princess Eléonore and Prince Emmanuel of Belgium. King Philippe or Filip is the seventh King of the Belgians, having ascended the throne on 21 July 2013, following his father's abdication. Lovely pictures. Elizabeth has grown to be a beautiful girl. Quite a resemblance to late Queen Astrid. Agree! Elizabeth is a lovely young girl and always with clothes for her age. I do think that the juvenile royal girls are often - maybe - forced to dress like an old spinster. It's waaaay to matronly for Elizabeth. WHy not a nice skater dress? 5 jaar op de troon proficiat! I see here more than just nice outfits: love, support, togetherness. I totally agree! Wonderful family! Très jolies photos de famille. La princesse Elizabeth grandit en grâce et en beauté. These Official Photos are very nice. Great RF,Pss Elisabeth has so much from both of her parents.This Family like to do things together.Nice outfits for everyone. Lovely photos of a nice family. I dont think the King always had the easiest time growing up so I'm glad that he seemsto have this settled and supportive home life now. The King and the princes look smart, the Queen and her daughters look lovely. I really like Mathilde's dress, Elisabeth looks really grown up and pretty and Eléonore matches her without being too "samey". 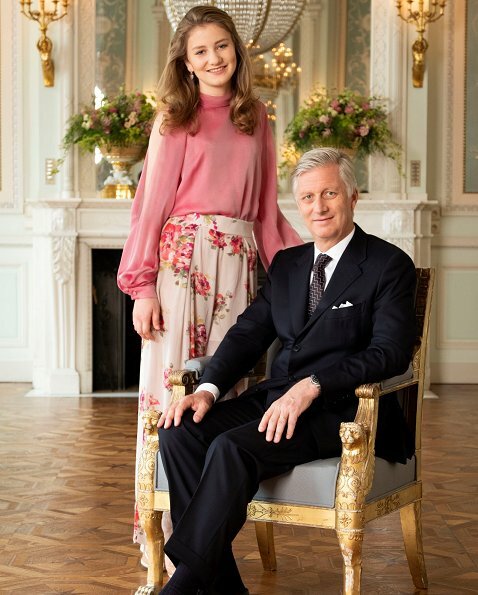 Love the photo of Princess Elisabeth with her father. She has grown into such beautiful young woman. Delightful family. Mooie fotos van een perfect gezin, Filip heeft lang gewacht maar de juiste dame uitgekozen. Such a lovely family. Everybody looks stunning. I love all fotos ! Crown Princess Elisabeth looks so gorgeous and tall. The entire family looks amazing. Amazing photos. Elisabeth is a real beauty and IMO the best-dressed Princess of this teenage generation of Royals. Always stunning and elegant, seems she has a fine sense of fashion. Elisabeth - bezaubernd wie ihre Mutter Mathilde! ! Das stimmt. Der Papa sieht aber auch nicht schlecht aus!